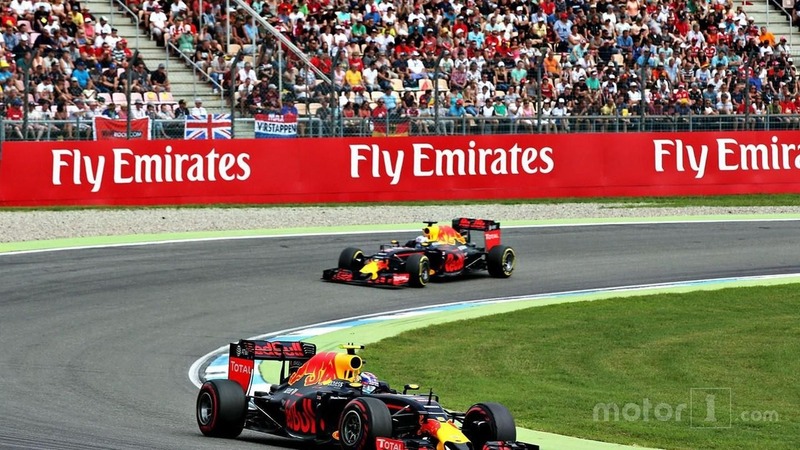 Christian Horner admits that it could become increasingly difficult for Red Bull to balance the interests of Max Verstappen and Daniel Ricciardo, especially if the team is in a position to fight for the title in 2017 and beyond. The Milton Keynes outfit went through some difficult times when Sebastian Vettel and Mark Webber were teammates, but Horner says that it won't be favouring a number one driver. 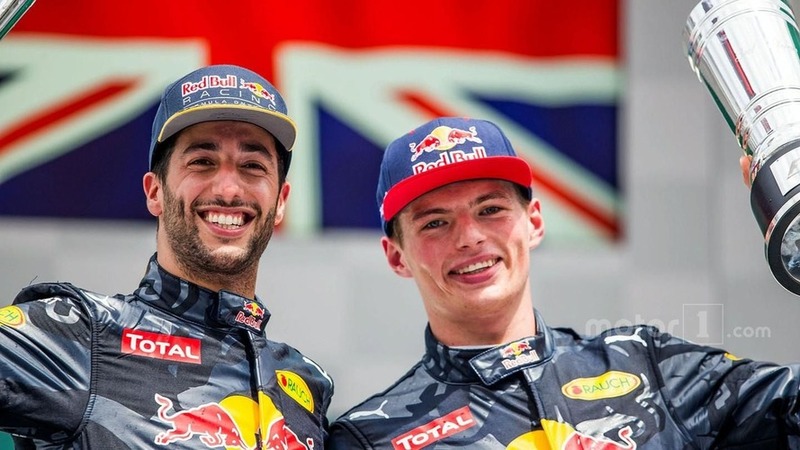 "With Max and Daniel we've got one of – if not the most – exciting driver pairings in F1," Horner told Motorsport.com. "It's down to them and what they do on the track at the end of the day. The relationship is sufficiently young at the moment that it isn't an issue. "I think as long as we deal with it in an open and honest manner, and it's clear what the objectives of the team are, we'll deal with any speed bumps that come our way." Horner says Verstappen has been even more impressive than expected since his move to Red Bull from Toro Rosso in May. "I don't think any of us imagined that he would turn up in Barcelona and win the first grand prix with us! "He's been sensational really, since the moment he stepped into the car. For somebody so young to be driving with such maturity is really impressive, and he's marked himself out as a real star for the future. "He's a great race driver, and he's demonstrated that in all the races so far, bar Monaco. His racecraft and skill and determination is clear for all to see. "I think there's still quite a bit more to come because of his age and experience. He will continue to evolve as he garners more experience." Horner admits that he is already thinking beyond the Dutchman's current contract, which runs to the end of 2019. "He'll only be 21 by then! As with all of these things it depends not just what happens on track but on relationships. Hopefully we can provide an environment where we can get the best out of him." Meanwhile, Ricciardo endured a difficult first part of 2016, although it concluded on a high with strong podium finishes in Hungary and Germany. "I think the first half of his season he was plagued by a bit of bad luck," said Horner. "He was leading the race in China and got a puncture. "It would have been interesting to see what happened in those last five or six laps in Barcelona, and he got another puncture. Monaco we all know about. "So he has been a bit unlucky, but I'm sure that will address itself. We'll just keep pushing and fighting. He's a competitive guy and he can see the effort going in from all of the team. "He's chin hasn't dropped. He knows the potential there, he can see that through no one's fault things haven't gone his way. That's motor racing. I'm confident that the second half of the season will be stronger for him."